Colorado was was one of the first states to legalize marijuana, and mushrooms could be next. 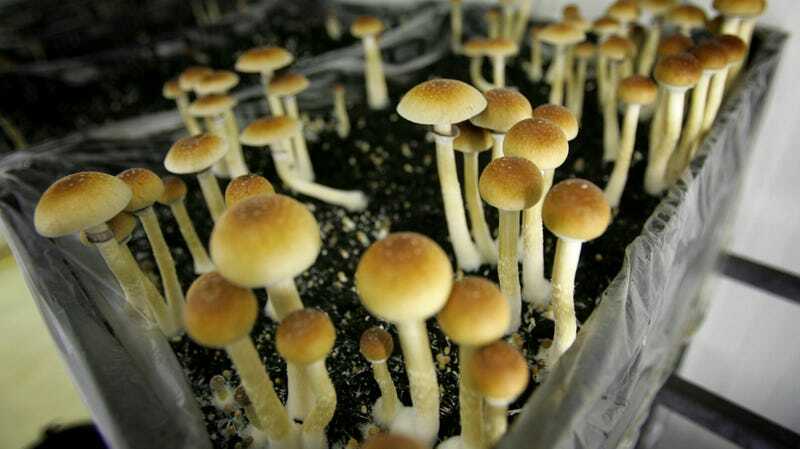 A group called the Denver Psilocybin Decriminalization Initiative has gotten 5,559 signatures on a petition to put the decriminalization of psychedelic mushrooms to vote, which means the measure will appear on the May 7 ballot, according to CBS Denver. If the measure passes, that doesn’t necessarily mean locals and weed tourists will just be able to grab a bag of mushrooms with their other edibles. Instead, “The initiative would make the use and possession of psilocybin mushrooms by adults 21 and older the lowest law-enforcement priority and prevent the city from using resources to impose penalties.” And although there would be no distinction between recreational and medical mushroom use, only growing mushrooms would be decriminalized, not selling. Psychedelic mushrooms are no longer just a really good way to become absolutely terrified for no discernible reason at a Phish concert. Increasingly, micro-dosing psilocybin, the chemical that makes mushrooms “magic,” has gained popularity as a means of treating anxiety and depression, increasing productivity, and boosting creative thinking. In 2018, researchers from Johns Hopkins University called for psilocybin to be reclassified for medical use in order to better study its medicinal uses. “This is a serious problem, Denver is quickly becoming the illicit drug capitol of the world. When you look at all the things that we’re dealing with, you have high potency pot, you have proposals for supervised needle infection sights,” Jeff Hunt, vice president of public policy at Colorado Christian University and Director the Centennial Institute, told CBS Denver. Counterpoint: think about how much more dope this will make Panic at Red Rocks.